Several years ago, I bought this size 2T cropped sweater on clearance at Suss Design‘s boutique in in Hollywood during her big moving sale. 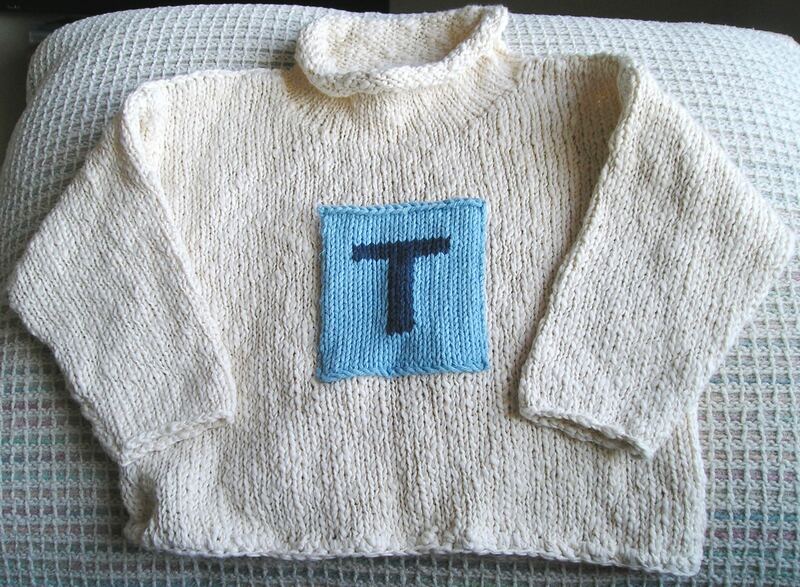 At the time, I had a cousin who had just had a baby named Thomas, so the “T” design (on the left) was perfect. 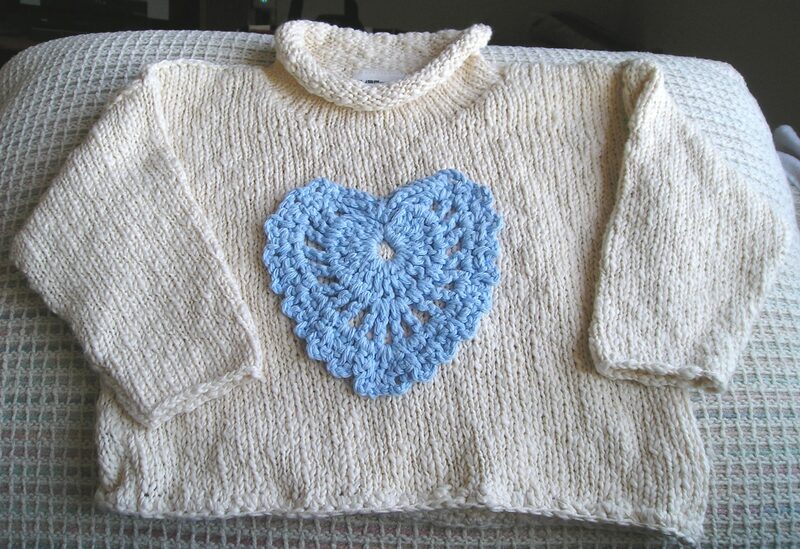 Needless to say, I promptly forgot to give this sweater to my cousin and that “baby” is now in elementary school. Fast-forward a few years and my brother had a little girl named Lauren who is almost two years old (and she’s big for her age). 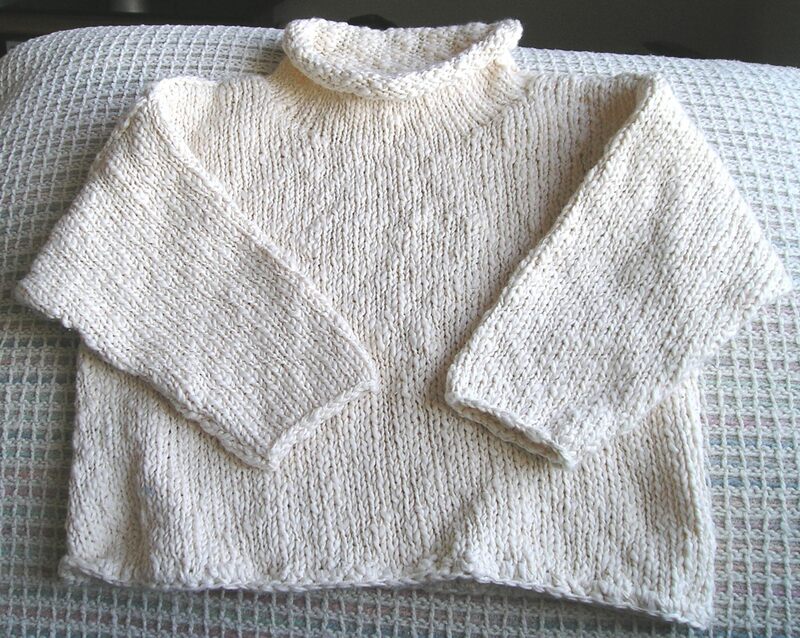 I remembered this sweater and I realized there must be a way to repurpose it for my niece as a Christmas present. A little time with a thread ripper (the “T” patch had been sewn on with a sewing machine) and — voila! — a blank canvas to work on (see center photo). I looked through the Ravelry patterns for an applique heart pattern and I chose Yarn Over Mo’s “Fancy Lace Heart.” Overall, the pattern was easy to follow, although I did get a little lost a couple times, but I attribute that more to my inexperience with crochet patterns rather than the pattern itself. 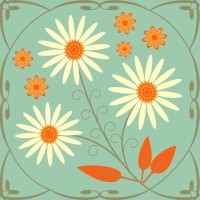 I’m a self-taught crocheter and sometimes I have trouble keeping track of the number of stitches. 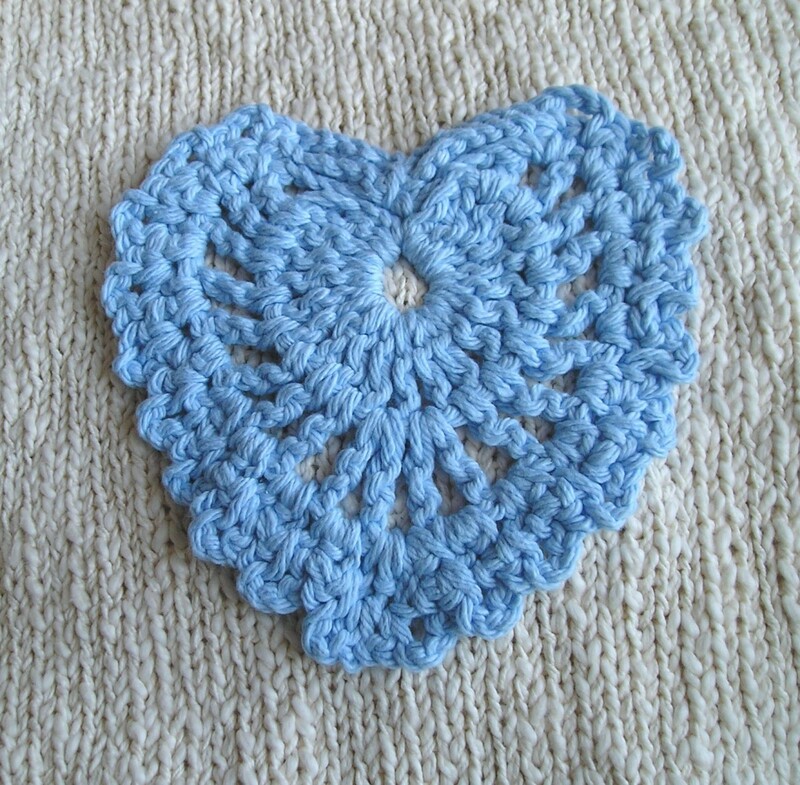 I think the cornflower blue will not only bring out my niece’s beautiful blue eyes but will also mitigate some of the “girliness” of the lacy heart pattern. It turned out great and I feel good knowing that finally this sweater will be worn and loved properly.